I can’t believe Turkey Day is right around the corner! There are so many things to love about Thanksgiving: the food, the gratitude, the family time, the pie. Yes, I think Thanksgiving might be my favorite holiday because it is unabashedly centered around food. 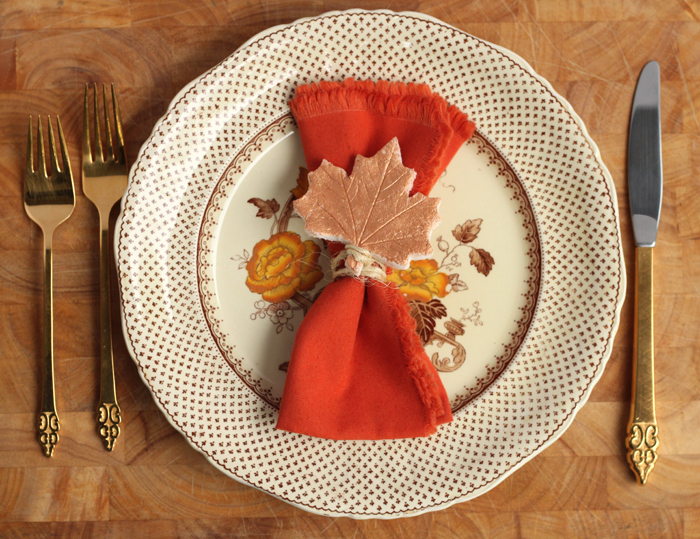 I’m always on the hunt for new recipes and Imperial Sugar has an amazing Thanksgiving page full of great ones. 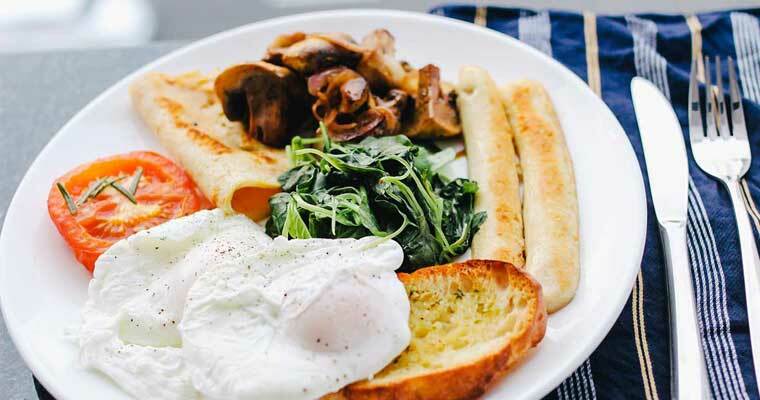 Not just recipes for pies (my favorite part of the feast) but appetizers, breakfast for company, and everything in between. And if that wasn’t cool enough, they’ve totally got the kids covered with crafts, free printables, and much more! The only thing I love as much as food is crafting with my little ones. So when I discovered these cool Salt Dough Leaf Napkin Holders, I knew exactly how we’d be spending our afternoon. We put our own creative twist on the project and I encourage you to do the same. This is such a simple, fun, creative project. And the recipe for salt dough from Imperial Sugar is the best I’ve tried. I see many more salt dough crafts in our future. Flatten the dough with a rolling pin or with your hands. Optional: Press leaves into the dough to create beautiful impressions. 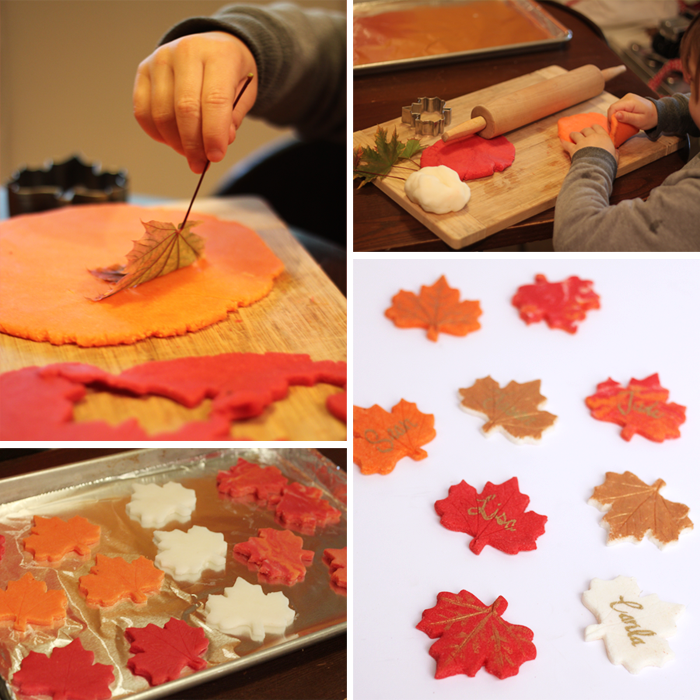 Use the leaf cookie cutter to cut out multiple shapes. 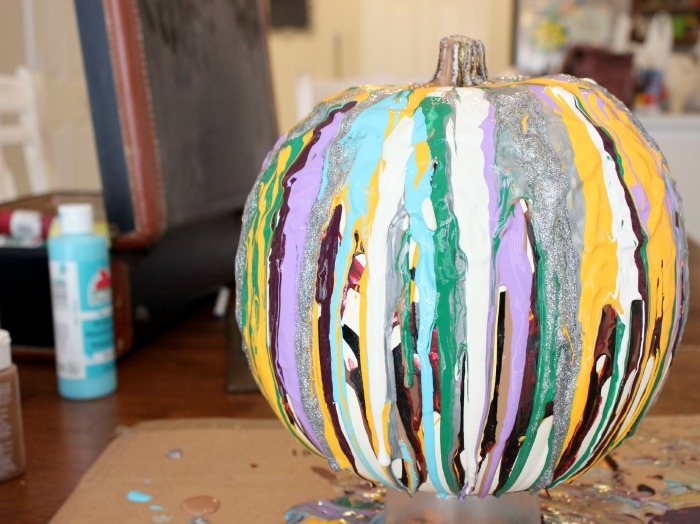 Optional: For extra fun combine the leftover pieces of each color to create a marbled effect, cut more leaf shapes. Let cool, decorate your leaves with metallic paint if you’d like. If you would like them to be name plates, use a paint pen to write your guest’s names. 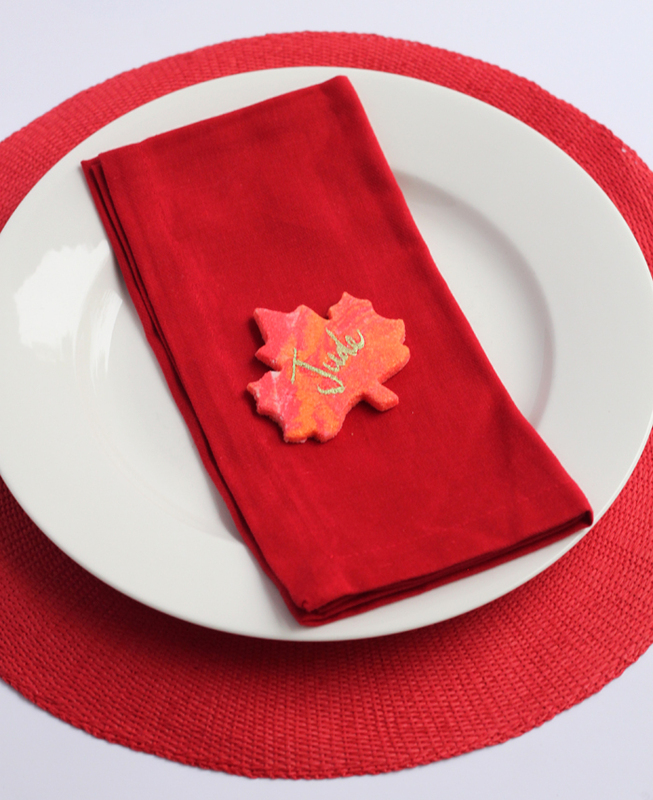 Simply set them at each place setting or attach them to cloth napkins with ribbon, twine, or tulle. I live in a small house on a friendly street in beautiful Northern California.I share my happy life with an awesome husband, two sweet little boys, one cat, and assorted chickens. I consider myself a modern homemaker and blog on Small + Friendly about crafting, cooking, gardening, mothering, decorating, and more. I hope you'll stop by for a little inspiration in your own modern homemaking adventures.